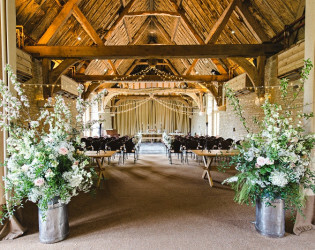 History and charm swirl in wonder at this centuries-old English barn. 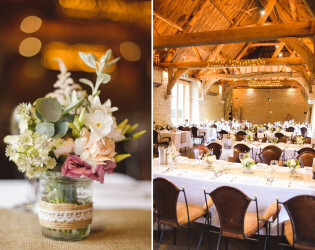 The state-of-the-art venue disguises itself as a rustic escape. 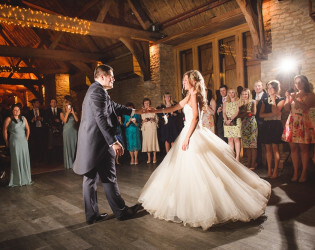 Surrounded by water plains and stone walls, this vaulted event space is simple, traditional, and divine. We still find it wonderful that a barn built back in the early 14th Century is still a bustling venue right at the heart of the local community. Although we have breathed new life into those old stone walls it has been done with such love, care and attention to detail. You'd expect this level of devotion I suppose, seeing as our family have farmed here since 1480. 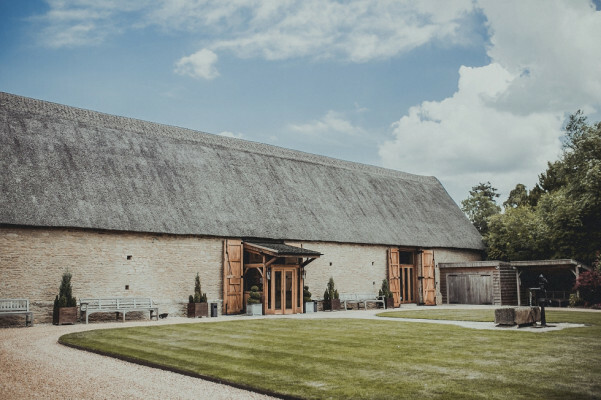 A record of Manor Farm, to which The Tythe Barn belongs, appears in the Doomsday Book and there is an interesting history written up about how priests used to hide in the farmhouse during the English Civil War. 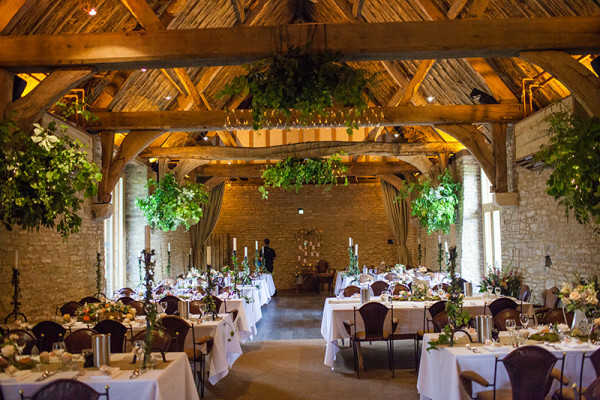 Built between 1360 and 1370, the historical Tythe Barn still retains the majority of its 22 foot original beams. 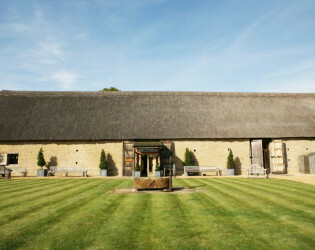 The roof was first thatched with reeds from the nearby Otmoor water plains and has only recently required re-thatching. The wonderful stone walls are an amazing 4.5 foot thick in parts. 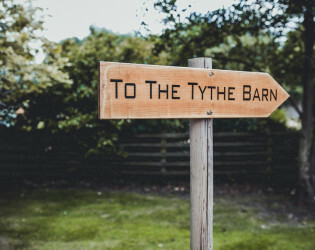 Historically the Tythe Barn would have stored all the produce provided by the local people and a percentage of this would have been passed on to the landlord as a form of rent- hence the name Tythe. 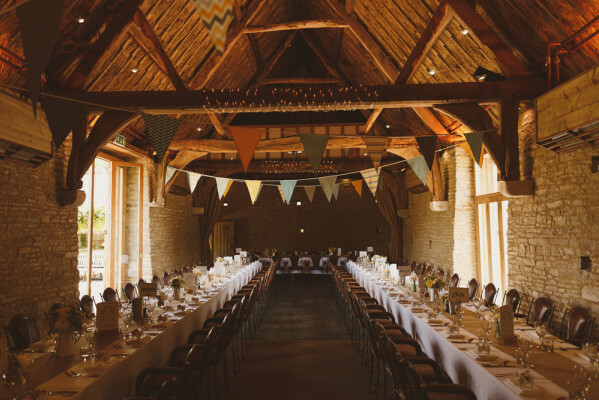 We do many events here at the barn but weddings...they're our 'thing'. Yes, The Tythe Barn provides the most amazing setting and we agree that we are pretty lucky to have Jamie Oliver's team as our in-house caterer but we are also fairly confident that, having done a few, we know how to put on a good wedding. 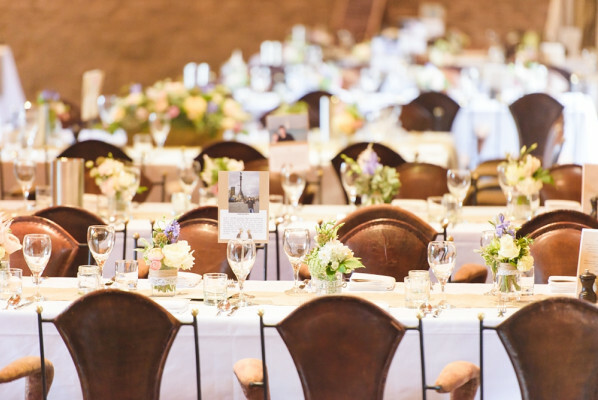 We listen, we sit down and talk and we are really passionate about getting it right - for you. 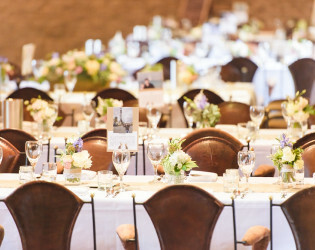 Every wedding is different and that's what keeps us alive. The Tythe Barn provides you with a blank canvas upon which you can create the wedding day of your dreams. Corny? Okay, but it's true and we are a small, friendly and dedicated team who are here to help you every step of the way. 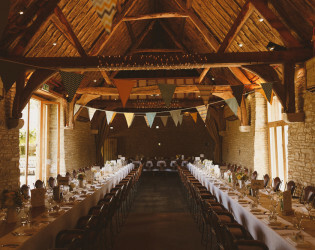 Arrive with us in the morning and do the whole thing in one place, ceremony - indoor or outdoor, food - whatever you want and party - a civilised affair or a rave. The choice is yours. Look, we've even created a unique and exciting place for the bride and groom to stay over... if you can't bring yourselves to leave! Drinks, entertainment and decoration if required! 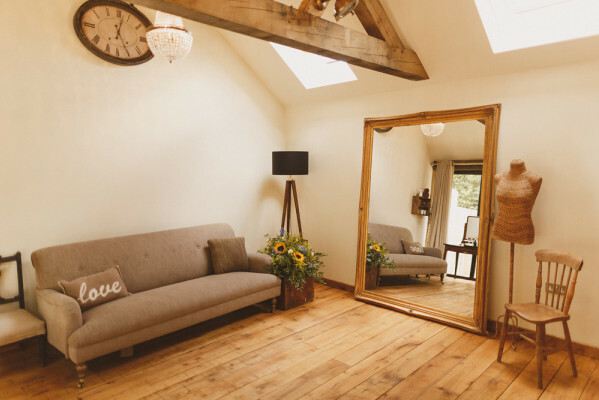 We had an idea when planning The Nook... to create a comfortable and luxurious haven for the bride and her bridesmaids. A secluded spot where they could enjoy the experience of getting ready together. 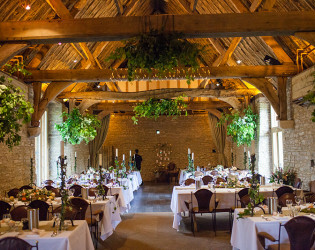 The styling of The Nook perfectly compliments the character and essence of the main Tythe Barn but we have also offered the bride a real 'home from home' in the hope that she is surrounded by everything she needs in order to allow her and her guests to indulge and pamper themselves on such a special day. 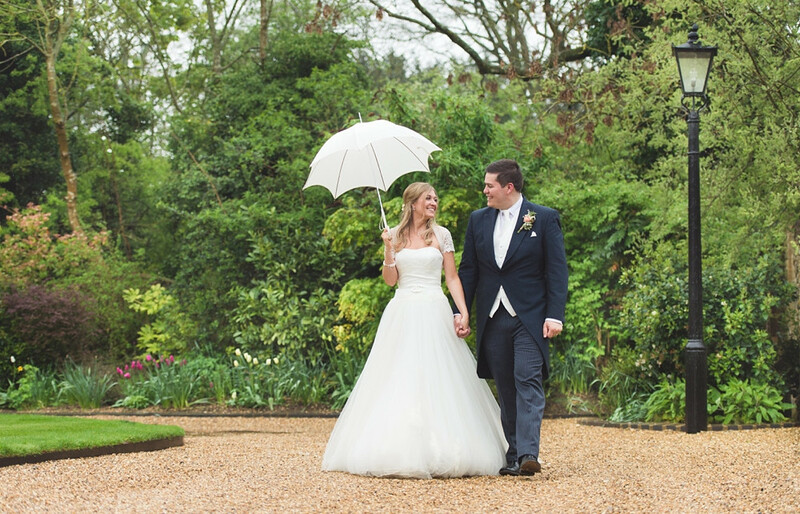 Looking for somewhere special for your wedding night? A private spot, tucked away from it all but near enough to make things easy? Take a look at The Hut. The Hut at The Tythe Barn is more 'shaggy sheep' than shabby chic but it is filled with all of the creature comforts you would expect for a luxurious stay. The style is very much inspired by the past and harks back to it's origins using traditional materials such as wood, copper and tin. Let's face it - we are all a bit reluctant to give up our creature comforts and so the design of The Hut paid careful consideration to the desires of modern living. 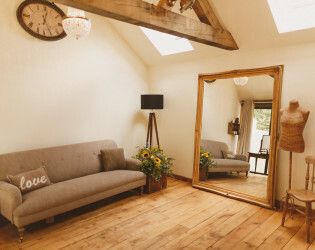 A wood burning stove sits alongside under-floor heating, electric power sockets and a flushing toilet have been installed together with lighting, a small fridge and hob, fitted kitchen, en-suite shower room and a comfortable double bed. It was also important for us to offer quality bed linen, luxuriously soft towels and beautifully scented soaps and shampoos as well as the more practical items such as a folding dining table and chairs, logs for the wood burner, a shelf for your iPod / iPad, hooks and hangers for your next days outfit and cosy sheepskin rugs for underfoot. It goes without saying that The Hut is not big... to be precise but imagine the fun we had trying to plan for every practicality. 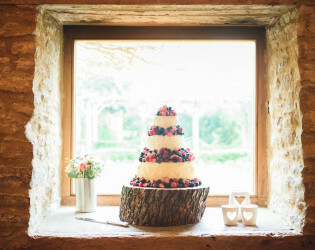 Imaginative and clever design ensured that there is a place for everything and that everything has its place - there is even a special place to put your wedding dress / groom's suit! Compact and bijoux but you wont want for anything. Please don't think we are pulling the wool over your eyes - ewe need to come and experience The Hut for yourselves. Indulge yourself in a unique experience and have a sleepover to remember... we guarantee you won't be counting sheep! 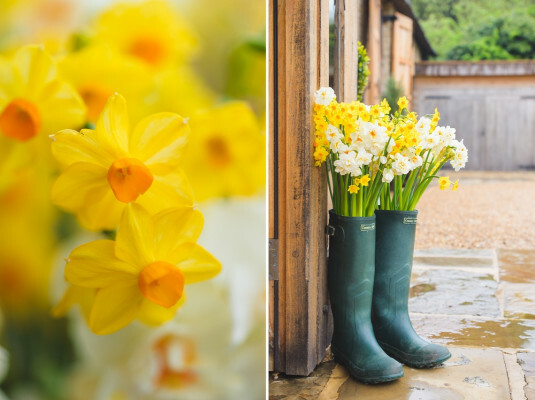 Jamie Oliver agreed to have his team 'Jamie Oliver's Fabulous Feasts' as our in-house caterer and we are a working family farm living and working on the premises for over 500 years! Over 500 were secretly ordained by Bishop Skinner in the beautiful Norman Church of Launton, situated behind The Tythe Barn and we have tried, on a number of occassions, to locate and unveil the priests' tunnel that is believed to run from the farmhouse to the church. 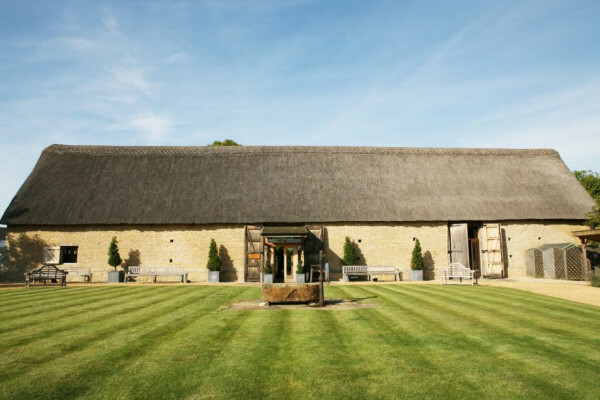 We have farmed Manor farm from around 1480 and The Tythe Barn played a vital role in housing the animals at various times throughout the changing seasons. 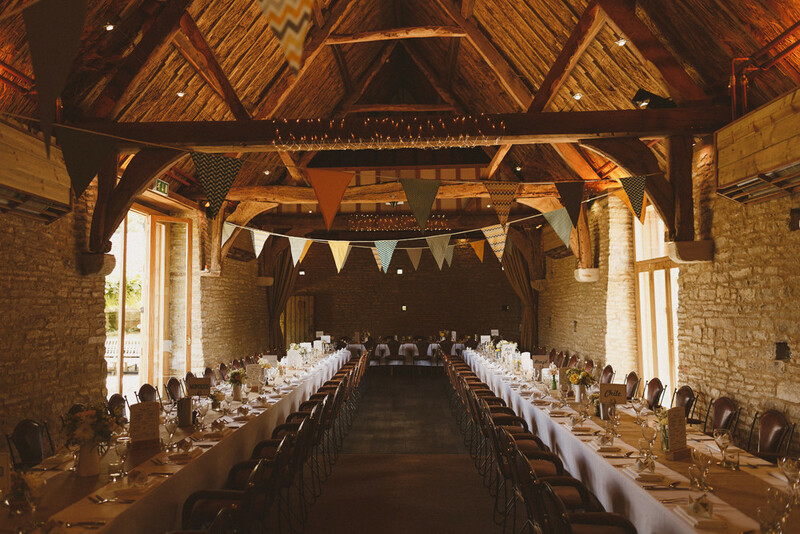 With the catering at the barn we aim wherever possible to incorporate home grown produce or livestock from the family barn into our menus. The roof was first thatched with reeds from the nearby Otmoor water plains and has only recently required re-thatching. It provides a great spectacle indoors where you can admire it high up beyond the eaves. It also makes for a perfect backdrop for photographsMany aspects of The Tythe Barn’s restoration saw the adaptation or re-invention of original parts of the building and it’s materials. Who could not fall in love with the Cowshed, where the original manger now serves as a setting for the teas and coffees following a wedding breakfast or dinner. The old trough now used as a stunning sink in the ladies lavatories has a great history behind it as does the bar - almost completely made up out of materials found directly on the farm. There is a hearing assistance system installed and plenty of power points to meet your requirements. The car park and surrounding areas are fully floodlit for convenience and security. 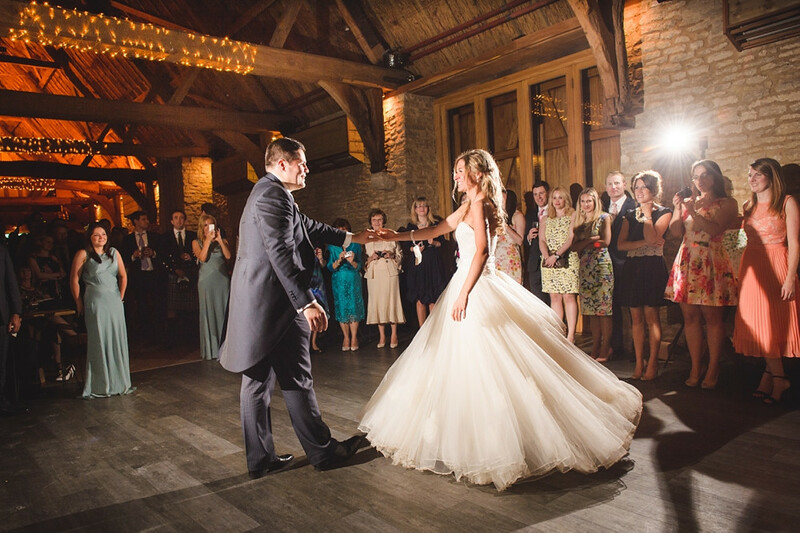 Weddings at The Tythe Barn are always exclusive and we ensure absolute privacy. Exclusive use of the venue, mature landscaped gardens and paddock. 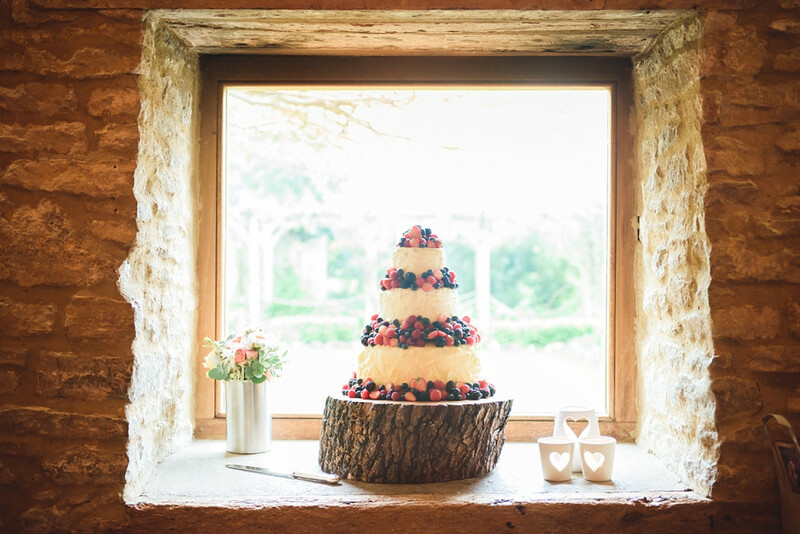 Our own In-House caterer ran by Jamie Oliver's Team Fabulous Feasts! Barn built back in the early 14th Century . 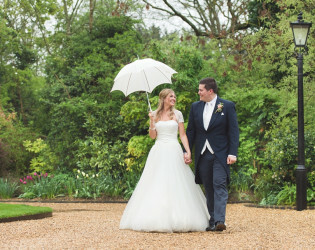 Rain on your wedding day means good luck! 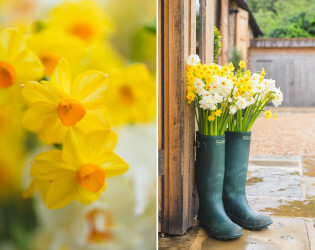 Spring wedding at The Tythe Barn. 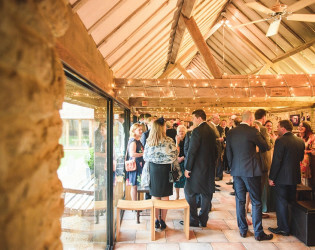 We can seat between 40 and 160 guests comfortably in either the main barn or our adjoining Cowshed, with an optional marquee on the lawn should you wish to entertain larger numbers. 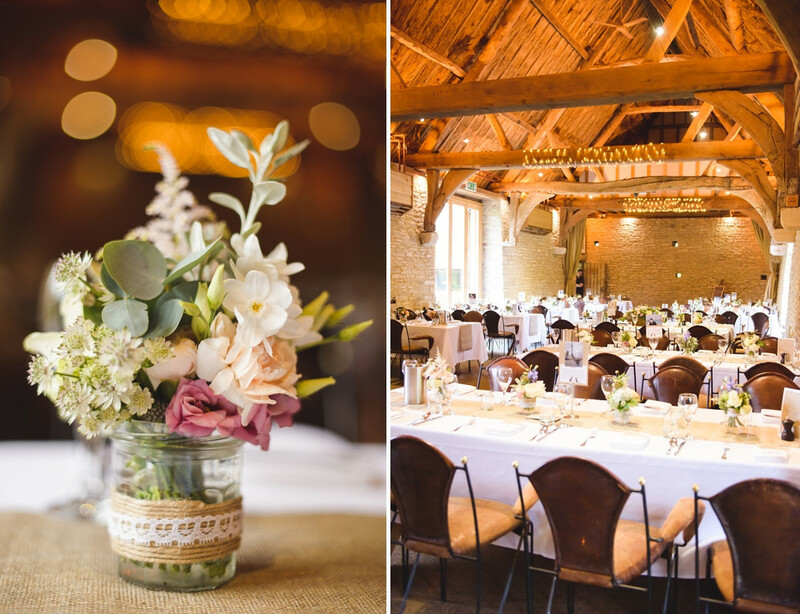 The state-of-the-art venue disguises itself as a rustic escape. 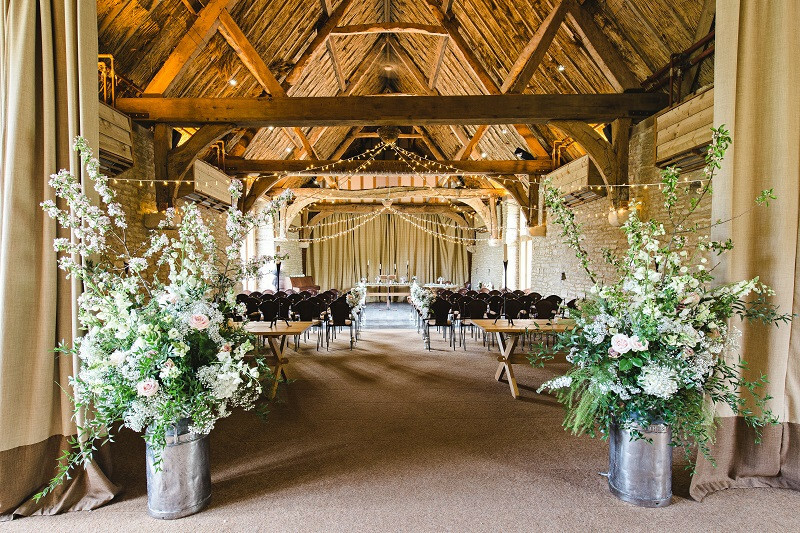 The Tythe Barn provides you with a blank canvas upon which you can create the wedding day of your dreams. 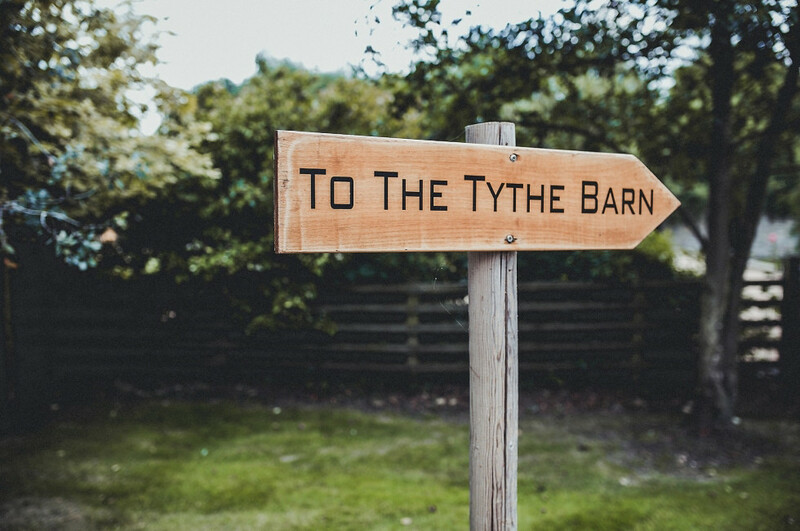 Historically the Tythe Barn would have stored all the produce provided by the local people and a percentage of this would have been passed on to the landlord as a form of rent- hence the name Tythe. 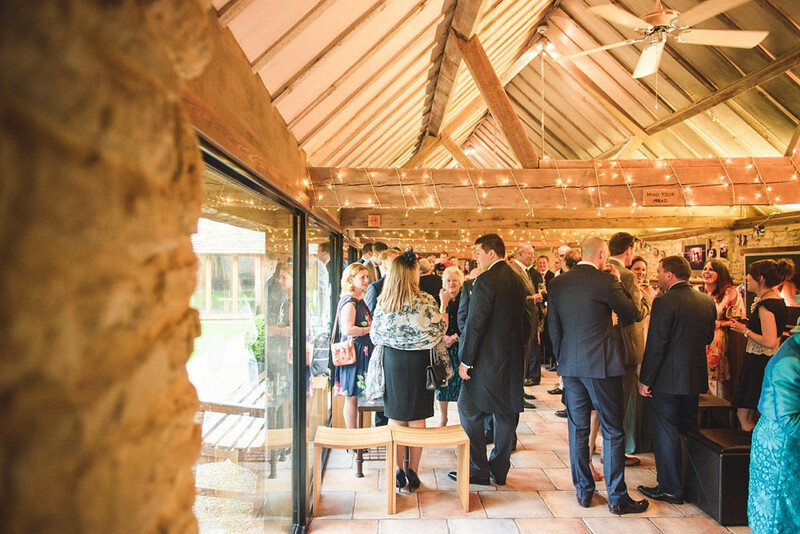 Built between 1360 and 1370, the historical Tythe Barn still retains the majority of its 22 foot original beams. Surrounded by water plains and stone walls, this vaulted event space is simple, traditional, and divine. 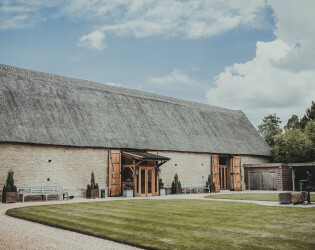 The roof was first thatched with reeds from the nearby Otmoor water plains and has only recently required re-thatching.